Your safety is of paramount importance when undergoing breast augmentation. Always have your surgery in an accredited hospital or day surgery facility. If you are young and healthy, then a day surgery facility is ﬁne. If you are older and have health problems, then a hospital would be a better place to have the procedure performed because of the availability and back-up of an intensive care unit and other highly specialised healthcare professionals. Accredited means that the surgical facility has passed a set of rigorous examinations to assure that the equipment and procedures meet standards for optimal safety. The hospital or day surgery facility should be fully accredited by the Australian Council on Healthcare Standards (ACHS) or a set of ISO standards that provide the highest standards of service. Patient health, safety, and comfort should be the surgical facilities main concerns and they should continually monitor and evaluate their performance to achieve these outcomes. Another requirement of accreditation is to assure that personnel is trained, experienced, and skilled healthcare professionals and procedures and equipment are in place to deal with any emergency from a power outage to cardiac arrest. Sometimes it’s reassuring to visit the accredited facility yourself. 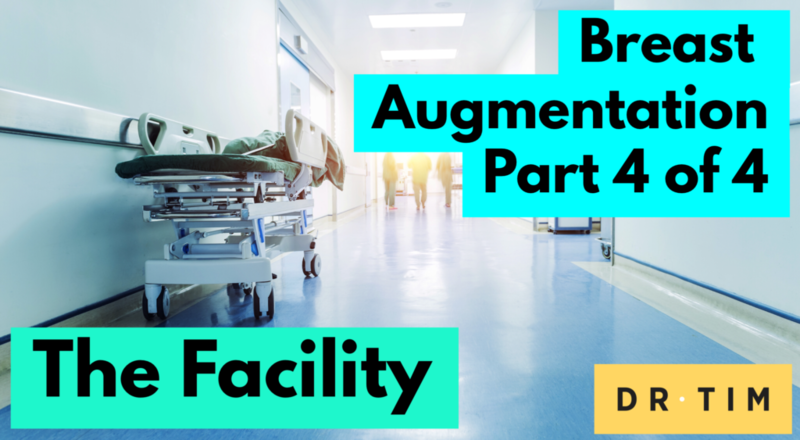 If you’re not comfortable with a surgical facility, don’t have the breast augmentation surgery there. What you want to see is modern and comfortable surroundings, as well as caring and warm personnel. The operating room should appear state-of-the-art, spotlessly clean, and equipped with the most up-to-date equipment. The recovery area should be immediately adjacent to the operating rooms. Some surgical facilities provide overnight accommodations with one-on-one nursing care especially for patients who need overnight care for more extensive procedures.